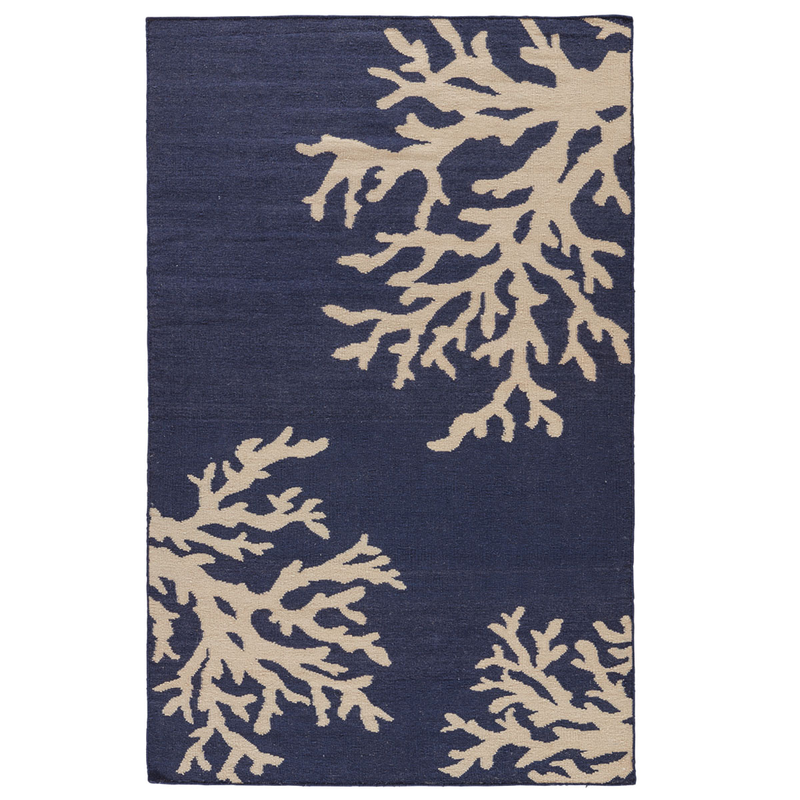 Give your den a coastal update with the Blue Sea Reef Rug - 8 x 10. Crafted with a neutral ecru branching coral design on a navy blue backdrop. This nautical area rug makes a beautiful accent.